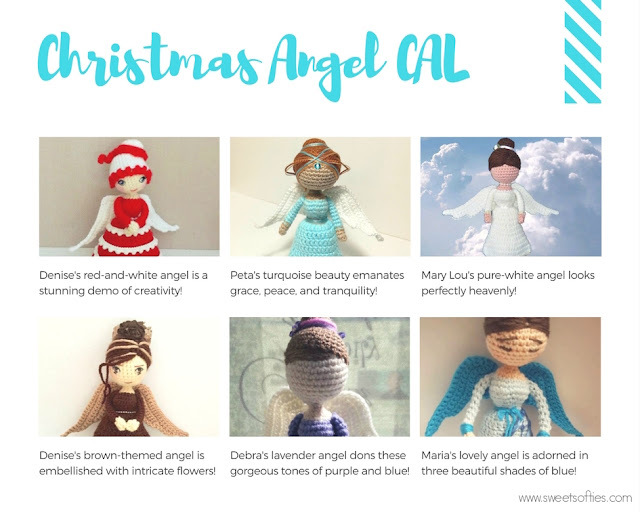 I am so overjoyed to share that Sweet Softies' very first CAL, featuring the Christmas Angel, has been an absolute pleasure and fun experience!! A special thank you goes out to all participants, and for those who sent me photos of their finished angels! No two angels are the same! Everyone has added their own, unique flair and finishing touch(es) to their angel! Whether it's with different colors, stitches and outfit design, hairstyle, finishing embellishments, or more, it's always so amazing to see what everyone comes up with.